Revenue in the Wind Instruments segment amounts to US$559m in 2019. The market is expected to grow annually by 3.9% (CAGR 2019-2023). In global comparison, most revenue is generated in China (US$591m in 2019). In relation to total population figures, per person revenues of US$0.7 are generated in 2019. This market includes musical instruments that create sound via a vibrating air column within a resonator, typically produced by blowing into or over a mouthpiece. Some of the most well-known instruments include trumpets, trombones, tubas, horns, flutes, oboes, saxophones and clarinets. Accordions and mouth organs as well as pipe organs, harmoniums and similar instruments are also included. Reading Support Revenue in the Wind Instruments segment amounts to US$559m in 2019. Reading Support The Wind Instruments segment is expected to show a revenue growth of 4.1% in 2020. 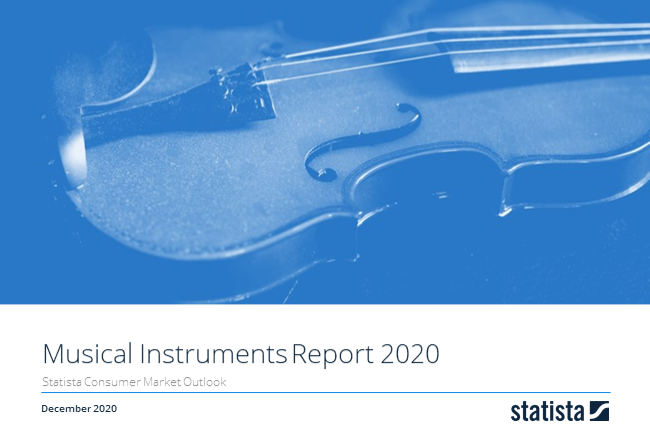 Reading Support The average revenue per person in the market for Wind Instruments amounts to US$0.7 in 2019. Reading Support With a market volume of US$591m in 2019, most revenue is generated in China. Here you can find more studies and statistics about "Wind Instruments".